Here is something new we, THE BLUFF CREEK FILM SITE PROJECT, are doing this winter and fall, thanks in main part to Jamie S. We hope to catch some interesting wildlife activity, and maybe even a Bigfoot, on the area of the Patterson-Gimlin Film Site over the winter, while the roads and the entire area are closed for the long wet fall, winter, and spring period. This is to fund an overwinter trail camera survey project at the Patterson-Gimlin Bigfoot film site. This is the crowdfunding page for the Bluff Creek Project's Trail Camera Survey. The Bluff Creek Project is an open-source volunteer project initially formed to locate the original Patterson-Gimlin bigfoot film site. It consists of several project contributors who volunteered their time and gas money to complete the mountains of field work needed. They have been researching the area formally on foot since 2009. Recently during the summer of 2011 they successfully located the original film site and completed a detailed survey of the surviving monuments and trees. This survey has been an enormous contribution to the community and can now be used to exact dimensional data from the film and make accurate measurement of the creature's pathway and size. After the recent trips to the site in June 2012 we noticed a large number of animal tracks and trails in and around the site. It appears that the area is an active corridor for migrating wildlife. This raised a few questions about the migration patterns of the local animals. Is the Bluff Creek area a migration pathway for large animals? Are predators using it as a hunting ground? Are the animals coming down to the creek from the ridges? ; Or are they just traveling along the creek? And we would be lying if we didn’t mention that we really want to know if there are Bigfoot down there. All these questions are important to our research of the film site and important to everyone who has an interest in understanding the complex ecosystem of the area. Immediately we realized the need to install trail cameras in the area. We intend this trail camera survey to be an open source project where all media and data is published immediately after collection for all the world to see. The main problem with similar camera projects is that all media and data is subject to strict non-disclosure agreements and stipulations. 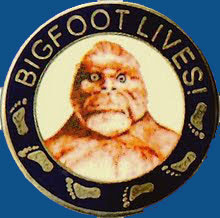 This is to protect and cash value associated with a potential bigfoot image or video. We believe as a team that the commercialization of such a project is fundamentally un-scientific. As a premise for the camera project we require full transparency during the entirety of the project. All videos and photos will be published immediately after they are collected. They will be offered freely on the internet for non-commercial use for anyone who wants to use them for their own research. Any commercial use of the videos that results in a cash profit will be invested back into the bluff creek project for use in the next season’s project. While the subject of Bigfoot is quite controversial, it is still an enigma that captures the interest of people worldwide. The existence of such a creature is highly debated and subjected to constant skepticism from all sides. 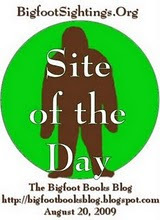 It is our opinion that if Bigfoot exists it is a real animal and not paranormal in nature. Any animal that is real can be photographed and caught on video. Modern trail cameras are very high resolution and can take clear HD video of any animal that triggers the sensor. They have proven to be a valuable asset to any biological study of rare animals. We hope to install at least two trail cameras to overwinter at the site. Obviously the more cameras the better. The roads to the site are closed for eight months out of the year, from October to Memorial Day. The cameras need to be of high quality and have great battery life. Most cameras with modern batteries last about two-three months in the field before the battery voltage drops too low to function. The solution to this common problem has been to install external sealed battery packs to supply the necessary voltage to maintain the cameras for longer periods of time. The downside of this method is that the packs and battery leads are subject to damage by bears and the elements. Recently modern cameras have been developed to utilize modern lithium batteries internally to extend battery life to one year. These cameras are fairly cheap and available on the consumer market, costing substantially less than the more expensive professional models used for law-enforcement, which can run more than $800 per unit. After operating many different camera types and brands we have noticed that the Bushnell Trophy Cam would be the perfect candidate for this project. Details and technical specifications can been seen at their website http://www.bushnell.com/. We employ a number of these cameras in our research and we find they are the most reliable and efficient camera on the market. After researching several similar elusive animal survey projects we have found that it is also the preferred field-tested camera of wildlife biologists. They are easy to set up and maintain, and have a proven track record of reliability. The new models are capable of up to one year of operation with modern energizer lithium batteries. In order to get a good view of animals migrating through the creek bed we need at least two cameras and hardware. Amazon.com currently offers the Trophy Cam HD Max Black for $210.70, which seems to be the best price. We will also need to get mounting hardware, memory cards, and batteries. Any additional funds received will go toward purchasing more cameras. Obviously the more cameras we put in the field the more complete the study will be. Any left over donations not amounting to enough to purchase an entire camera will go toward fuel to visit the site. A detailed expense report and receipts will be published at the time of purchases. Of course the prices and availability of the cameras are subject to change during the course of this campaign and any additional costs or equipment will be explained in a detailed expense report. Below is a basic run-down of the current costs of the equipment. Contributors making sizable donations covering whole units will have the option of receiving the used camera unit after this coming winter of 2012-2013. It is however encouraged that you contribute the camera to next year’s project. We will ship the camera to you after June 2013 when I retrieve the cameras. Any leftover cameras and materials will be put to use for the next overwinter season. There is of course the possibility that the camera will be damaged or stolen during the course of it’s use. This is unlikely due to the remoteness of the area and the roads being closed for the duration of the winter. All contributors will have their name cited in the accompanying summary paper of the project. If you wish to remain anonymous please indicate so in a private message. Anyone who makes a large enough donation or sponsors the project will also have the option of coming down to the site and assisting us in the camera recovery and additional research. The site is on public land and anyone who so wishes may visit the site in accordance with the rules and regulations of the national forest. We also will be accepting physical donations of equipment and gear. Please contact one of the members of the project is you have some equipment to offer. We could use some old trail cameras, audio recorders, night-vision, binoculars, video cameras, etc. All donations are non-refundable. We do not expect an image of a bigfoot creature as a result of this project. We do however expect lots of HD video of local wildlife including bears, deer, elk, and cougar. I am 28 years old and currently a geology student. I was a participant in the 2010-11 United States Antarctic Program. My current interest in the subject of Bigfoot stems from listening to Art Bell on Coast-to-Coast AM radio while I was a kid. I have since grown up, and through a twist of fate I find myself living in Humboldt County, California. The site of the Patterson-Gimlin Film is in close proximity to my house, and that re-kindled my fascination with the subject. I met up with some local researchers and offered my assistance in their research at the film site. I worked on the hard trigonometry and mathematics involved in exacting dimensions and geometry for the film site survey. I am a post-Dawkins atheist and paranormal skeptic. My contributions to the field include field research assistance and several short essays. I do not "believe" in Bigfoot. I posit that the modern word "belief" has been taken to the level of blind faith and disregarding of evidence and logic. I do, however, posit that there is sufficient current evidence of the creature to warrant further studies. I suppose that if I see one that I might "know" they exist. This campaign will receive all of the funds contributed by Wed Sep 19 at 11:59PM PT. If you donate $5 then you will be listed as a contributor to the project. At this level you will be purchasing an entire camera unit. Contributors at this level will have to option to receive the whole camera unit after it's use in the 2012-2013 overwinter, sometime in June 2013. Camera condition at the time of collection is not guaranteed. It might be chewed on by a bear. Camera theft is also a possibility and if that is the case then we cannot return the camera to you. Was this project or fund cancelled? Alan, no it was not canceled. It was funded to double the desired amount, and has been fully implemented on-site with double the original number of cameras. The area is now closed for the season, with locked gates on the roads and snow on the ridges. We hope to find a way in there over the winter (maybe even this weekend) but we will surely retrieve full camera data (barring Bigfoot vandalism of the project) come late May or early June. I will post some updates on this blog soon.